Lumière feeding her baby in one of the first films ever screened. Her brief appearance (the film lasts for 20 seconds) in the archetypal role of mother could be described as one of the first female performances. It is in this role, as performers, that women have largely taken part in what is, and has been, a male-dominated industry. There have been exceptions (for example, Esfir Shub, Leni Riefenstal and Thelma Schoonmaker), but high-profile women film-makers are and have been rare. Jane Campion is one and The Piano made her a director of international significance. Her work is sharp, original and imaginative. The films should be viewed in their own right. However, given that she is one of the very few mainstream women film-makers currently working, we cannot avoid asking if there is anything uniquely female in her perspective. The Piano, like Campion's other films, has a female protagonist. It presents us with the story of Ada, a nineteenth-century woman who has been voluntarily mute since she was 6. At the start of the film she is married off by her father to a stranger. To marry him she leaves her father's home in Scotland and travels to New Zealand. Thus it is the story of an outsider, a woman confined by the patriarchal conventions of her time who struggles against her fate in the rain and mud of colonial New Zealand. In the opening image of the film the camera pans back and forth behind vertical dark lines surrounded by red light. Gradually we become aware that these bars are fingers. We cut to a close-up of Ada, eyes peering out from behind her fingers. Thus we are introduced to her as the central character of the film and to the first among many images of confinement that culminate with Ada's husband, Stewart, making a prisoner of her by boarding up the windows of the house and locking her in. Light spills through the cracks in the boards, enabling Ada and Flora to look out from their prison, echoing the opening image of the film. Shots of characters looking through things abound throughout the film, imparting a voyeuristic feel. We see Ada looking through doorways and windows, Stewart observing her through a camera viewfinder and characters at the theatre peeping through holes in the curtain. Flora and then finally Stewart observe Ada and Baines making love through the cracks in the boards of Baines's house. All of these images contribute to the issues surrounding intimacy and invasions of intimacy that the film explores. These issues need to be understood in terms of the context of Ada's experience as a woman in a patriarchal society - a society in which the tradition is that men assume ownership and control of property, land and women (in short 'the means of production'). As part of its examination of a woman's life, The Piano carefully examines male roles as well as female ones. Male power and male inadequacy are explored principally through the contrasting characters of Stewart and Baines. To understand Ada we need to understand her relationships with these men and their perceptions of/feelings for her/women. The characterisation of Stewart is particularly interesting. He represents Victorian Colonial values; he is concerned with the ownership of the land; he exploits the 'native' Maori population. In his role as Ada's husband he acts as her oppressor, committing acts of both emotional and physical violence against her, and yet Campion refrains from casting him as the villain of the piece. Instead, the film-maker invites us to sympathise with him. At different points in the film we see that he is nervous, baffled, impotent when faced with his strange new wife. A product of his society (and its belief in white male supremacy), he is conservative, traditional and deeply uncomfortable around women. Thus he seems genuinely incapable of treating Ada as an individual with possible desires and feelings of her own. To assert himself he must try and control her. In contrast Baines - like Ada - is an outsider. He is a social outcast because he has cast off the values of his society and 'gone native', partly embracing the Maori culture. At least in contrast to the white Victorian values (embodied by Stewart) which act as Ada's oppressor, the Maori culture is represented positively. In a scene that might appear to represent the Maoris as stupid, we see them destroy the theatre performance, unable to comprehend that it is not real. It is significant, however, that what they react to with anger is a depiction of male violence against women that is deemed both acceptable and comic by the white audience. Similarly Baines rescues Ada from Stewart's violence against her. Is the film-maker suggesting that he is rescuing her from a culture, a set of social values and attitudes towards women as much as from an individual? New Zealand film-maker choosing a white American to represent black New Zealanders? A less controversial but perhaps more fruitful area of analysis is the central character's muteness. This is important both psychologically - as a key to Ada's psyche and her responses to the culture in which she lives - and cinematically - as lack of speech provides opportunities for alternative means of communication. The film-maker relies heavily on carefully constructed mise en scène as a primary means of conveying Ada's relationship with the world, but perhaps her most important means of communication is her piano. Aunt Morag describes Ada's playing as 'strange, like a mood that passes into you. To have a sound creep inside you is not at all pleasant.' Ada uses her playing as the primary means of expressing intense passionate feelings. As the film progresses, the audience learns to read her music and interpret the different states of feeling it expresses. Other characters' responses to her music are revealing. Stewart, like Aunt Morag, is uncomfortable / uncomprehending. Baines understands that asking her to play for him is asking something deeply intimate. Watching her play becomes a sexual act for him/both of them. The final dream image of the film shows Ada's lifeless body floating above the piano - a dark ending suggesting that real liberation for the nineteenth-century woman can be found only in death. Is this really the end of Ada's story? Possibly, but the voice-over and preceding images suggest an alternative ending. We see Ada dressed symbolically in lighter colours in a new life with Baines, where she is learning to speak and with the aid of a metal finger is able to play again. Her mind's voice tells us: 'What a death! What a chance! What a surprise! My will has chosen life' -a controversial and ambiguous ending to an extraordinary film. • What do we know about Ada's relationship with her father? • When she arrives in New Zealand, how is Ada's status (as property of her new husband) emphasised by the filmmaker? • Compare Stewart's initial reaction to Ada with that of Baines. What does it tell you about each man? • Compare Stewart's actions and reactions to the piano (and Ada's playing) throughout the film with those of Baines. 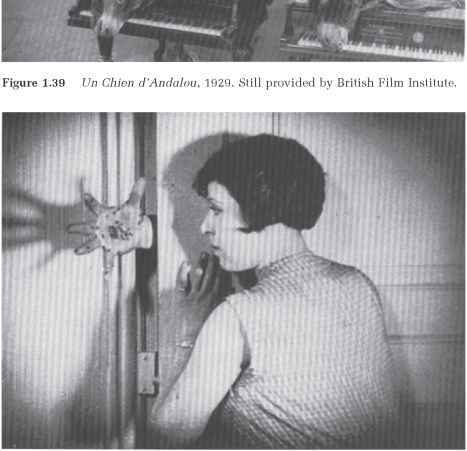 • Hands and fingers, particularly Ada's, are an important motif in the film, witness the opening shot. Look at the different ways Ada speaks through her hands. What is the significance of Stewart's chopping off her finger? And Baines replacing it? the two scenes where Stewart assaults Ada (look here also at the effects of lighting and changes in film speed). • Consider also the Maoris' appropriation of Western costume. The women wear both male and female clothes. What do you think this conveys? • Compare Stewart tightly buttoned up (why did the costume designer deliberately make his clothes a size too small?) with Baines in much looser more flamboyant style. • Consider the importance of lighting. Compare the cold blue-white light that emphasises the whiteness of Flora and Ada's skin with the warm amber and rose colours used in certain sequences. What mood does the film-maker create through such use of different coloured light? • Consider the importance of sound. Is the music in the film diegetic or non-diegetic or a mixture of the two? Can you identify recurring harmonies - do they indicate different things at different times? Why do you think Ada has chosen to be mute? What impact does this have on performance and use of sound? Why do you think she chooses to learn to speak at the end of the film?